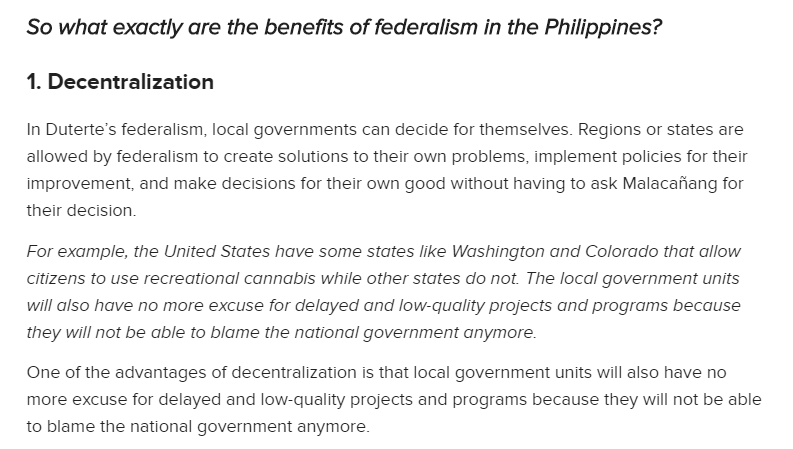 There are three promises of Federalism according to the federal expert Prof. Jan Erk, the first one is that the democracy is better because if the government of the Philippines’ system is federal it will have better democracy because the democracy leads to the citizens. A chance to be heard and power is given to the local communities and the democratic responsibility is being promoted wherein those ordinary people, political parties and other personalities in the economy are given a chance to give reactions, honor and even the punishments for the officials who are leading the implementation of the public policy. The good governance is the second pledge, if the system of the Philippine Government is Federal; it can establish the effective administration. The United Nations states that there are eight characteristics of an excellent management. The participatory, it gives opportunity to everyone to have participation in making a decision. The consensus oriented is a group decision making wherein all the members of the group develop and agree to support a decision for everyone. The accountable, it gives assumption of responsibility and knowledge for actions and decisions. The fourth one is the transparency, the first step to fight corruption. It is the obligation of the leader to share the actions and decisions. The responsiveness, it is giving of immediate and effective action. The sixth one is the effective and efficient or the effective and good governance. The equitable, it is the fair and unbiased governance. Lastly, the inclusive which is the system of the government has the ability to respond to all the public services, makes sure that everyone is included with no discrimination at all. 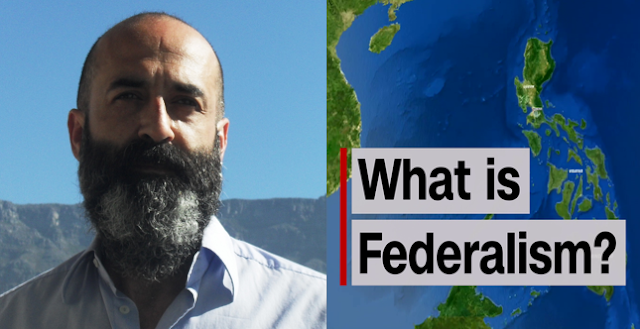 The third and final promise of Federalism is the managing of the characteristics of different cultures. 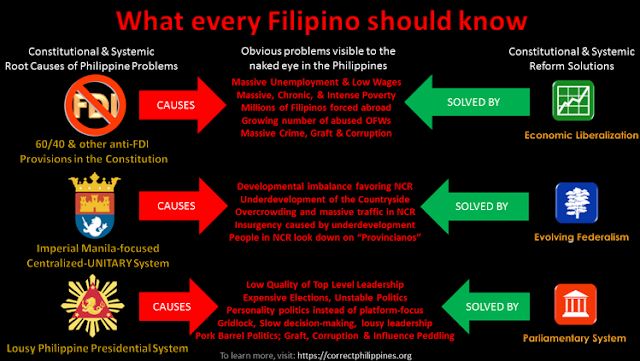 Of the system of the Philippines is federal it can establish the good governance of the characteristics of different cultures, the difference and the relationships between them. 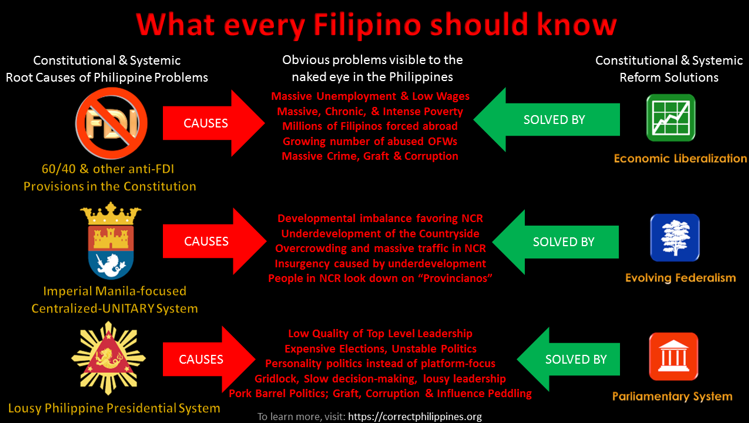 There are different cultures in the Philippines, there are a lot of different dialects, Federalism is just right. Due to different states and regions, in federalism the places that have similar cultures and dialects can be a state or region. 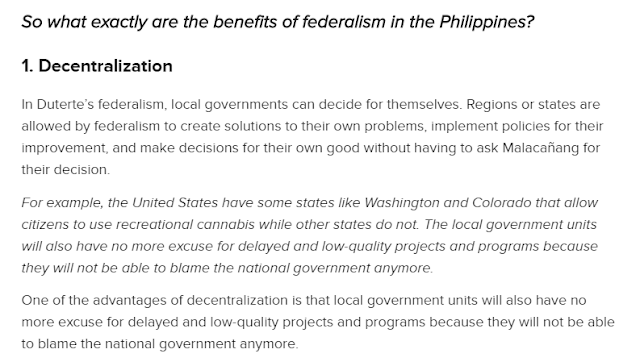 It can make the government better because it can give the community the autonomy to manage their own works.